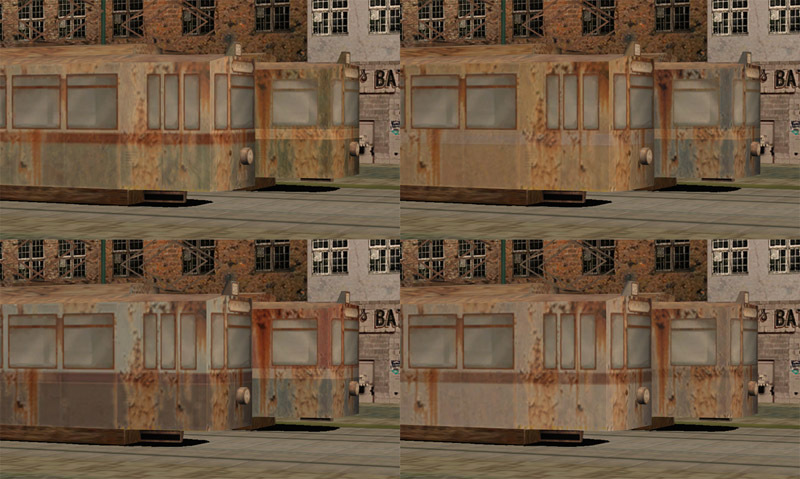 Everything appears in the Misc. section of neighborhood deco. 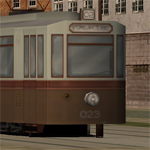 If I'm not mistaken you need one EP to have custom nh-deco, but it doesn't matter which one. You still miss a certain combination? 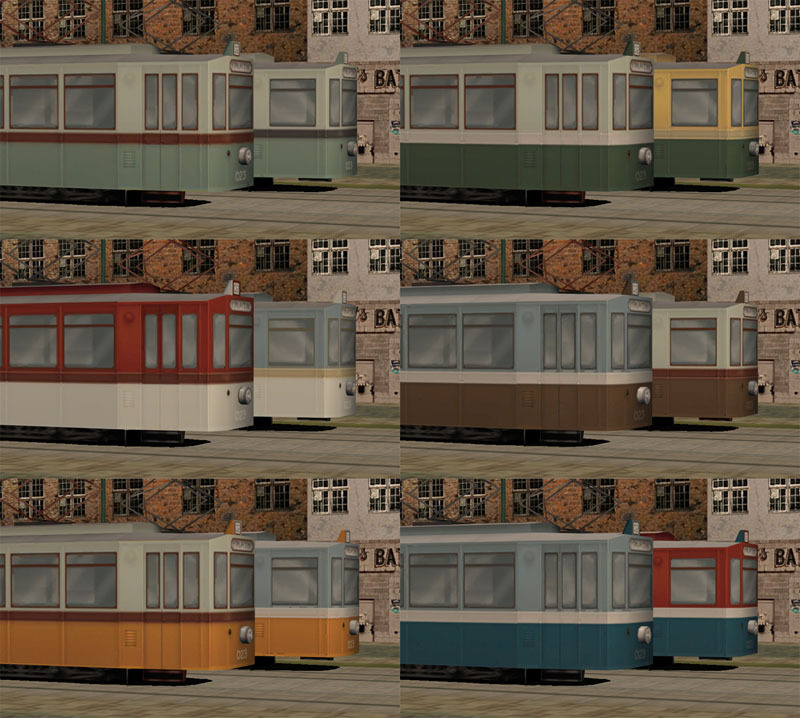 I've added the PSD(CS3) file for download for your own recolors. You need to know how to use SimPE and a paint program that can handle psd to have any use for it! 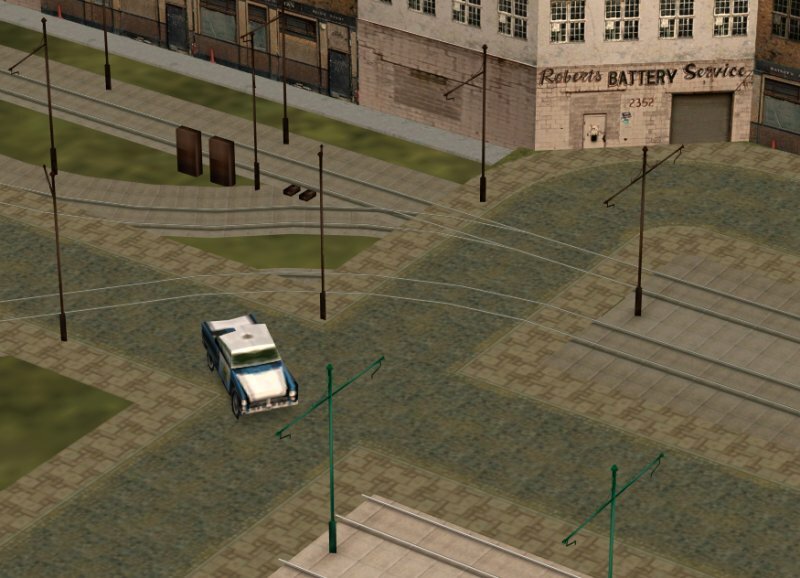 The terrain seen in the last pic is a combination of Stev84s cobblestreet and CurlyReds walkway and can be downloaded here (GoS). Deco buildings can be found here and here (LJ). 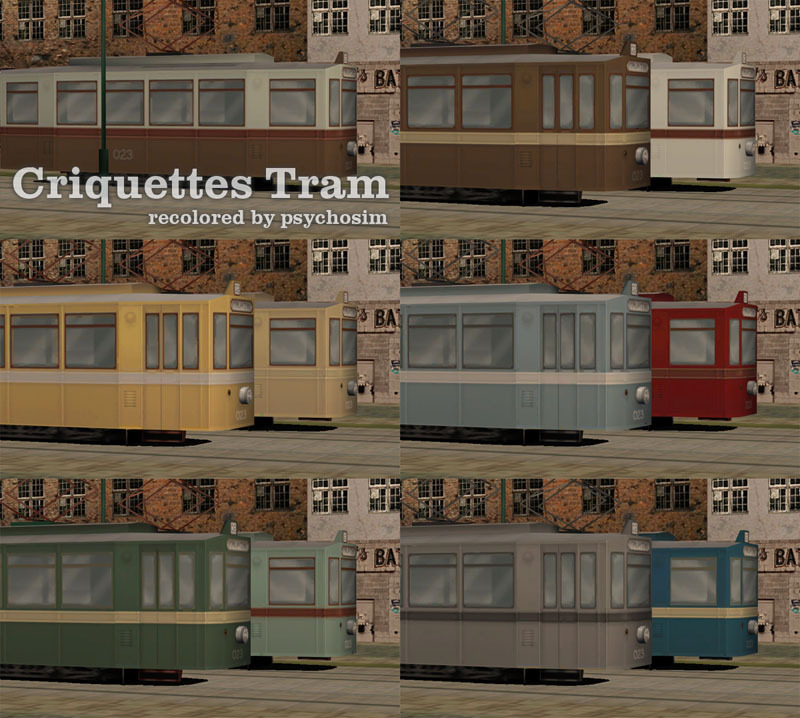 PSD_criquette_tram_psychosim.rar | Description: PSD(CS3) file - not needed - only for creators!